XXXII, 136 p., 5 ill., 17,6 x 24,3 cm. 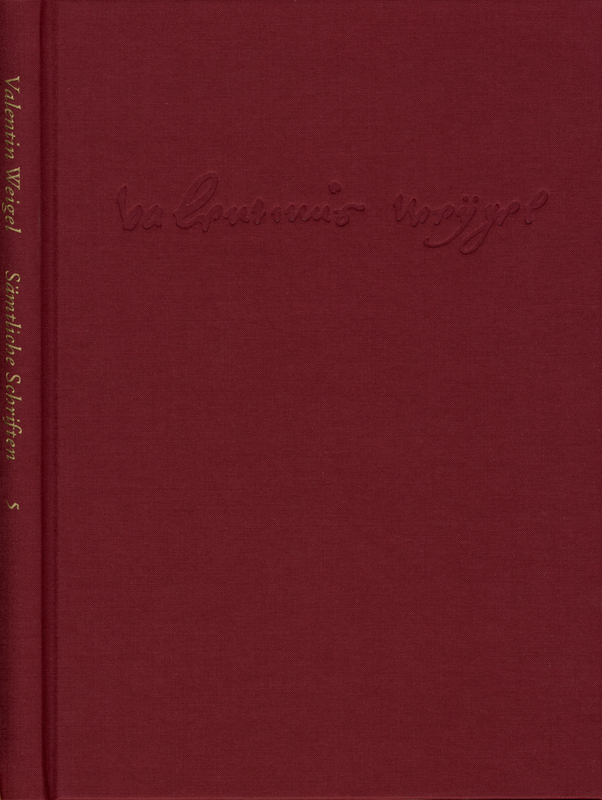 The main work in instalment 5 of Valentine Weigel’s ›Sämtliche Schriften‹ (Collected Works), ›Vom wahren seligmachenden Glauben‹ (The Only True Faith) of 1572 is being presented here in a revised version. Since Weigel dedicated it to his superiors in the church, it is also known as his ›Apologia‹ and contains an unusually large number of quotes. According to Zeller, the attempt to ›express his conception of Adam and Christ in the words of Lutheran scholastic orthodoxy was part of the method of this justification‹. There are only short extant texts of the other works in this volume, some of them only fragments, most of which were by found by the editor, and these are presented here for the first time.